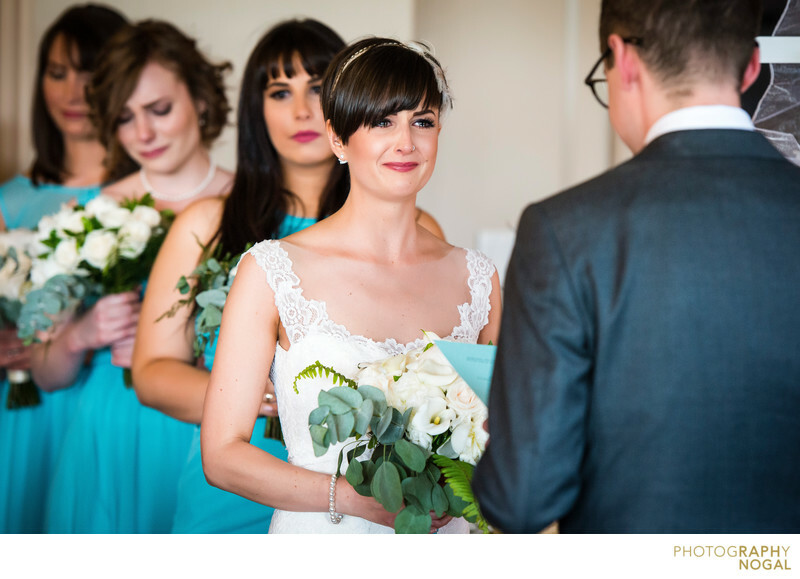 The Groom was saying his vows and the Bride tried to fight back tears as she listened on during the ceremony at Whitevale Golf Club. One of the Bridesmaid in the background was also moved by the Groom's words. Location: 2985 Golf Club Rd, Whitevale, ON L0C 1A0.